How to Fix ERR_TOO_MANY_REDIRECTS Error ? There are many advantages for WordPress Users to having a wordpress.org site. Some errors, such as the White Screen of Death or the Internal Server Error or some other WordPress common errors which affects WordPress users very much at the beginner level. So, In this article, we will discuss how to resolve the Err_Too_Many_Redirects error in WordPress. The WordPress has SEO friendly URL structure which uses the redirect function. Several plugins such as Cache plugins and WordPress SSL uses the redirect functionality. Any misconfiguration in these redirection tool will make your site to go into an infinite redirect loop. In this case, the site cannot stop redirecting from one page to another. Mostly this error occurs due to plugins. 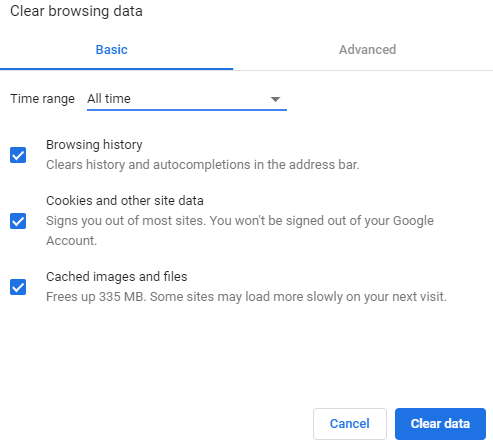 The first step, you try before anything else is to Clear your Browser Cookies and Cache, which sometimes fixes this issue for you. Use a keys combination ctrl+shift+del and click on the Clear data button. If you are using any WordPress Cache Plugin, you can also try to clear cache from the WordPress admin page. If this doesn’t fix this issue, you can move to the next method. Browser Extensions might be the reason for the Err_Too_Many_Redirects on your site. Hence, you have to disable all the browser extensions to solve this error. 1. Open Chrome Browser and access its Settings Menu. 2. 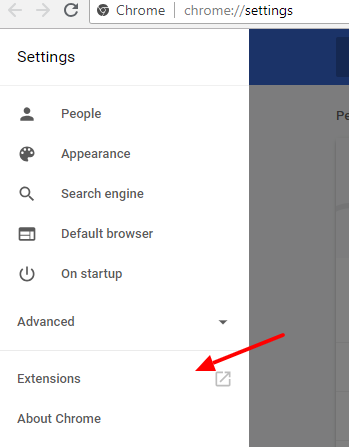 Click on Extensions, an extension tab will open in new window with the list of the installed extensions. 3. Disable all the Extensions and see if the issue resolved. The most common misconfiguration is when a user has incorrect URL or Site Address URL settings. 1. You need to Login to your WordPress Admin Area, then click on Settings. 2. Your WordPress General Settings should appear by default. 3. Check, your WordPress Address( URL ) and Site Address( URL ) is correct. The URL should look like this: http://mydomain.com. The URL becomes www.mydomain.com/wp if the WordPress installed is located in /public_html/wp/ subfolder. For example, Assume your site’s URL is http://www.mydomain.com and set it to http://mydomain.com. Most web hosts allow you to choose whether you would like to add a www prefix to your domain or not. If you add www to your URL and adding http://mydomain.com in your WordPress settings then it will cause an error or vice-versa. When a user visits on http://mydomain.com, they will redirect by your server configuration to http://www.mydomain.com where they will again redirect back to your WordPress settings. Once you make sure that the URLs are correct, then contact your host, it is possible that the configuration issue at their end. If your WordPress Host provider refuses to help you, then you should change your web host or fix it yourself. For this, you need to change your WordPress Site and Site Address. 1. Click on Settings from the General Menu, change your WordPress Address and Site Address. 2. If your address is without www then change it to www prefix, if you have www then change it to non-www URL. 3. Click on Save Changes button. Note: Don’t forget trailing slash at the end of your URL. 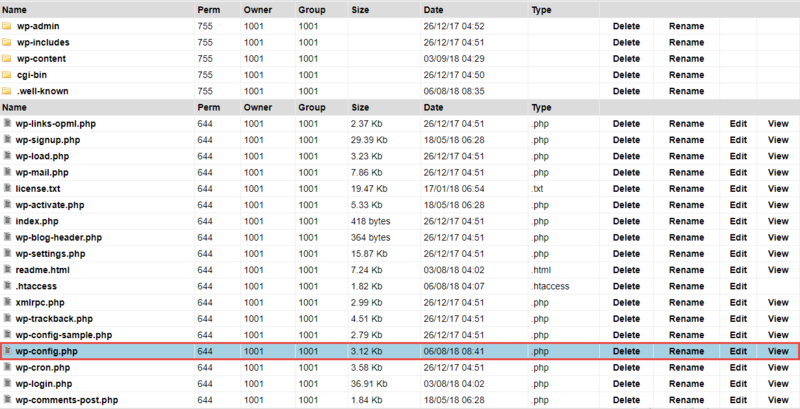 There is a possibility that you are not allowed to access your WordPress Admin area, you can still update by defining them in the wp-config.php file. You can Edit the file via your File Manager either by downloading the file and uploading the file via your FTP Client. 1. In your Hosting Control Panel, access your File Manager and locate the wp-config.php file. 3. Add the below two lines at the end of the file. 4. Don’t forget to save your changes by clicking on Save icon. 5. Visit your site to check whether the change of WordPress URLs fixed ERR_TOO_MANY_REDIRECTS error. If you still facing the problem, then add your domain with the www prefix. Note: Do not forget to replace mydomain.com to your domain. If you are still facing the problem, then there is a problem with your plugins. As we know, WordPress plugins use the redirection techniques to do the variety of things. 1. Firstly, check that which plugin causes the issue. 2. Maybe you activate a new plugin which causes the problem. If yes, then deactivate that plugin. 3. In case, you have no idea then Deactivate All Plugins and again access your site. 4. If it works, then the next step to check, which plugin creates the problem. Check pages on the browser as a non-logged user by activating the plugin one at a time. In that way, you will find out the plugin that causes the issue. If You still faces the problem, another possibility is that maybe your .htaccess file is making your site go into a redirection loop. In this case, you can Rename your .htaccess File to regain access to your site. 1. Using the Hosting Control Panel, access the File Manager. 2. Select your .htaccess File, click on Rename option. 3. A pop-up shows on the top and then provide your new .htaccess Filename. 4. Now, try to access your site. If this method solves your problem then, press on Edit option. Remove all the content from the file and Paste the default .htaccess configuration. After that Rename your file back to the .htaccess file. Note: Before making any changes, You should always make a backup of the original .htaccess file.